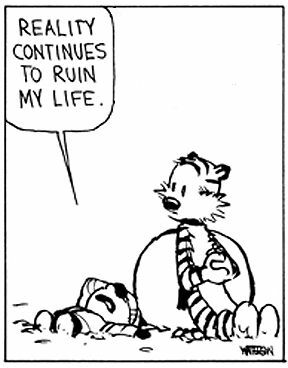 11 times Calvin from Calvin and Hobbes was all of us. With voting day behind us here in Belgium and the results being just that little bit too scary to my liking, I could do with a smile or two today. 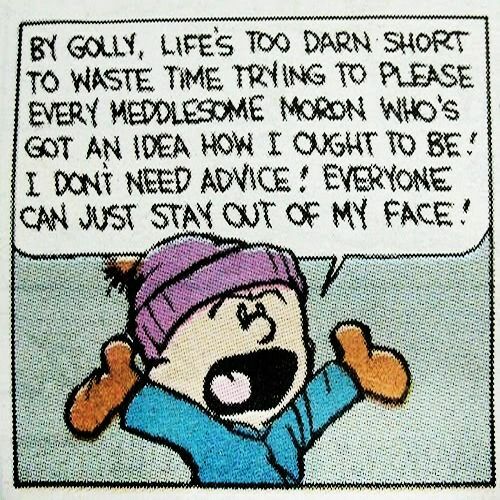 And whenever that happens, I find that turning to my Calvin and Hobbes collection always does the trick. Thereâ€™s just something so recognisable about Wattersonâ€™s work that either makes you laugh because youâ€™ve thought the exact same thing this way too clever 6-year-old has, or comforts you because youâ€™re clearly not the only OR first one to recognise thereâ€™s something quite wrong with certain things. Donâ€™t believe me? Take a look at some of my favourites! So there you go! If youâ€™re having a so-so start of the week, as well (OR perhaps even if you swing the same way I do when it comes to voting and are currently in the same what-the-hell-is-going-on boat) I hope at least a few of these have made you smile today. Even so, as funny as the comics above are, I wanted to share a couple more. 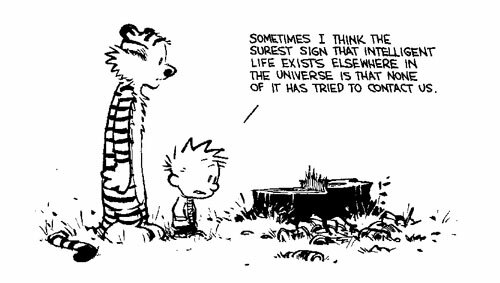 Just because theyâ€™re so clever, topical (unfortunately) and close to my heart, and to show you - if you didnâ€™t know all that much about the comics, how brilliant Bill Wattersonâ€™s Calvin & Hobbes truly was AND is.